Learning can be fun and help us do great things! Use the menu above to look through interesting facts, definitions, and links that will help you and your friends take better care of the Earth. 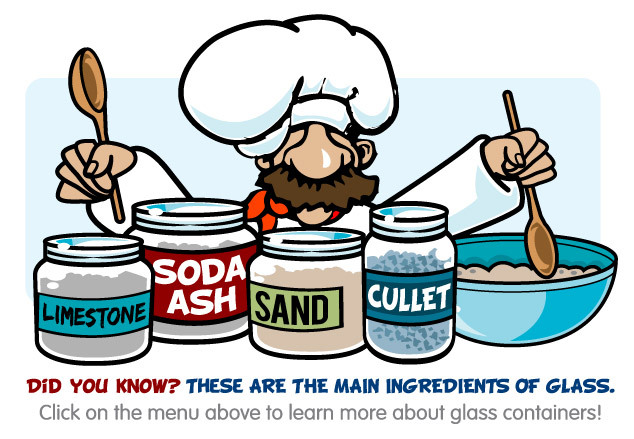 Here's a tip: You may want to review the Glass Glossary before you watch the animations. Captain Cullet, Little Gob o' Glass, Little Bottle, and the corresponding characters are trademarks of Ardagh Group.